As of today, the Indian government has banned cigarette and bidi smoking in public places in an attempt to reduce harm to passive smokers. The double digit growth in the number of smokers in South Asia has increased the dangers faced by people forced to inhale toxic smoke against their will. As the smoking rates in developed countries have slowly declined, they have risen dramatically in some developing counties, where Philip Morris International (PMI), often described as the merchant of death, is a major player. These include Pakistan (up 42% since 2001), Ukraine (up 36%) and Argentina (up 18%), according to the Wall Street Journal. Alarmed by the data, Pakistan banned public smoking in 2003 and strengthened health warnings on cigarette packs and advertisements. The Indian government says there are more than 120 million cigarette smokers in the country. As with other laws, the results of the ban will depend greatly on how well it is enforced. Those flouting it face fines of 200 rupees ($4.50). Tobacco smoking in India kills 900,000 people a year. That figure is expected to rise to a million by 2010. As the governments of developing nations deal with the consequences of increase in smoking, PMI and other tobacco giants are targeting Pakistan, India, Brazil and Russia. 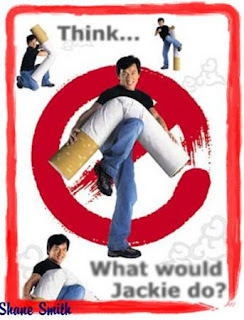 one of PMI's immediate goals is to harness the huge potential of China's smoking population, as well as some of that country's own brands, according to the Wall Street Journal. While Philip Morris investments in Pakistan, Brazil, Russia, India and China are expected to bring in much-needed capital and create thousands of new jobs, the proven health risks posed by smoking will also cause widespread disease and death in future years. This does not appear to be a good bargain for these emerging economies with young populations. KARACHI - Chest specialists strongly criticised the government on its failure to take effective measures for the control of tobacco use in the country. They demanded that the â€œProhibition of Smoking and Protection of non-smoker Ordinance of 2002â€ be strictly enforced in order to protect the public health from tobacco, the single largest preventable cause of death in Pakistan. Shahzad Alam from WHO said that 5.4 million people died last year as a result of tobacco and unless some urgent actions are taken by 2030 more than 8 million people will be dying every year from tobacco. He said that in Pakistan about 100,000 people die every year as a result of tobacco. Lung cancer is a vital cause of cancer deaths in males followed by mouth cancer. Both these cancers are tobacco related and can be prevented if this powerful addictive substance is avoided. Tobacco use is also a major risk factor for heart attacks, stroke, pneumonia, Chronic Obstructive Lung Disease (COPD) as well as 20 other serious diseases, he added. Quoting a research conducted by the Agha Khan University (AKU), Prof Javaid Khan, Chair National Alliance for Tobacco Control, said that 24 per cent of male and 16 per cent of female college students were regular smokers in Karachi. The prevalence of smoking in the youth of Islamabad is even higher at 28 per cent, adding that tobacco use is on the increase in the Pakistani youth because of aggressive marketing by the tobacco companies. He said that government of Pakistan was a signatory to Framework Convention on Tobacco control and according to this United Nationâ€™s treaty our government was bound to take strong anti-tobacco measures in the country, but sadly our government was failing in its obligation. Prof Khan regretted the recent decision of the ministry to allow designated smoking areas at indoor public places. He demanded that in order to protect its citizen from the hazards of passive smoking, government must ensure that all indoor public places are completely tobacco smoke free. Dr Muhammad Irfan, Consultant Chest Physician at AKU, urged public to give up tobacco â€˜useâ€™ immediately, as most people when they are young do not think about quitting this habit and by the time they decide to give up this addiction it is often too late and permanent damage to health had already been done. By citing an example, he said that if one continues to smoke he is bound to lose 3 months/year of his life after the age of 40 every year. He informed that nicotine withdrawal symptoms only last for couple of weeks which requires strong will power, and by using certain medicines quitting smoking is now much easier than ever before. Amongst the two multinational tobacco companies in Pakistan, Philip Morris Pakistan Limited (formerly known as Lakson Tobacco) stands at number two to Pakistan Tobacco Company. Philip Morris Pakistan Limited is a public listed company on the Karachi and Lahore Stock Exchanges and is an affiliate of Philip Morris International Inc (PMI). The company is involved in the manufacture and sale of cigarettes for Pakistan's domestic market. It currently operates three cigarette factories with primary and secondary facilities and one tobacco leaf threshing plant, all located in various parts of the country. It also runs an extensive tobacco leaf agronomy program in the tobacco growing areas of Khyber Pakhtoonkhwa. The company is also involved in CSR where it is engaged in undertaking various initiatives in the education, environmental sustainability and disaster relief sectors to give back to the community it operates in. Brand Portfolio Philip Morris Pakistan has a portfolio of ten brands for the domestic market. Of the main ones, it markets and sells both international brands like Marlboro and Red & White, and locally owned brands like Morven Gold, Diplomat, K2. Highlights 2011 has been a challenging year for Philip Morris so far like the rest of the FMCGs due to the weakening economic situation fuelled by power crisis and rising inflation. Moreover, the performance of the company is highly affected by the illicit cigarette market that accounts for almost a 20 to 25 percent market share. The detrimental impact of the non-tax paid industry extends to not only the company but to the legitimate industry as a whole and also the government as it reduces government revenue. Being a cigarette manufacturer and importer, the company has high taxes and duties expenditure. The company's sales tax and excise duty as a percentage of its gross turnover for the 9MCY11 stood at a little above 61 percent as compared to 60 percent same period CY10. The company saw weaker sales of 2,847 million cigarettes mainly attributed to the adverse impact of the non-tax paid tobacco industry. Overall, compared to 9MCY10, the nine months ending September CY11 has shown declined profitability. Its contribution to the national exchequer went down from 16,330 for 9MCY10 to 16,178 million for 9MCY11. Profitability Gross turnover experienced a decline of 3.9 percent from Rs 25.7 billion for 9MCY10 to Rs 24.7 billion in 9MCY11. The decline in gross revenue is not only due to the tough economic environment, high government taxes and illicit trade but also due to the successful launch by PTC of its brand, Capstan which alone has a market share of 14 percent. Though the sales tax and excise duty were considerably less for the nine months CY11, the gross profit was seriously injured by a surge in the cost of sales by 9.8 percent for the 9MCY11 compared to the same period CY10. This is mainly because of rising energy costs, security related expenses and high inflation. GP margins had a steep decline to 23.7 percent for the 9 months of 2011 compared to 35.5 percent for same period CY10. As if to compensate to some extent, the distribution and marketing expenses demonstrated a fall of approximately 12 percent for periods in comparison. The company recorded a loss after tax of Rs 284 million with an NP margin of -2.8 percent compared to the profit after tax Rs 767 million for the same period in 2010.